The Civic has long been a big volume model for Honda. 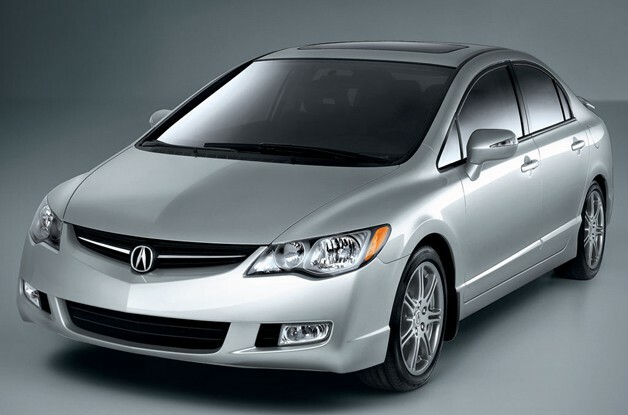 But while it has grown in size and standards of accommodation over the years, Canadian buyers are the only ones in the world who can get their hands on an Acura version. Called the CSX, it's essentially a rebadged Civic with some extra luxury touches. It was preceded by the EL, also based on the Civic, which in turn took the place in Acura Canada's lineup left vacant by the departure of the Integra sedan in 1996. Rumors, however, have been circulating for the past year that Acura was developing a new Civic-based model earmarked towards a broader market – including the United States. We've heard this line of thinking out of the rumormill before, but it's been a while, and this is the first time we've heard talk of it reviving the RSX badge. The RSX, as you may recall, succeeded the Integra, albeit in coupe form only, and it was a favorite among front-wheel drive performance guys and gals. Whether a new RSX sedan might prove a worthy successor – or for that matter, whether a two- or three-door version might be offered as well – remain to be seen, but word on the street is that we can expect it to arrive in 2013 as a 2014 model.